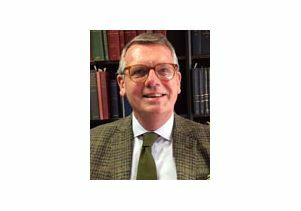 The UCLA Academic Senate has elected Distinguised Professor of English Joseph Bristow as the vice chair/chair election for the 2017-18 academic year, Secretary of the Academidc Senate Timothy Malloy announced on Tuesday, May 23. Sandra Graham, professor of education, will serve as the next chair of the Academic Senate for 2017-18. Bristow, who joined UCLA in 1996, served as chair of the Council on Planning and Budget (2008-2009), an at-large member of the Senate Executive Committee (2009-2011) and a member of the Committee on Library and Scholarly Communications (2012-2015). He worked closely with the Undergraduate Education Initiatives, the deans of the College and Faculty Executive Committee members representing many different areas of our campus on several pressing issues. In his statement for candidacy, he said he is committed "to fostering an atmosphere in which often conflicting views can be articulated freely and openly. Given the opportunity to serve as Academic Senate Chair (Elect), I would want to address not only the urgent issues that the College FEC has addressed with regard to teaching and learning, undergraduate recruitment, and diversity; I would also want to concentrate on faculty welfare, particularly the challenges we face with the cost of living in Los Angeles, especially expenses such as housing and child care." Bristow, who won a Distinguished Teaching Award in 2016, teaches classes in 19th-century English literature. "My current research draws on the unrivaled Oscar Wilde archive held at UCLA’s William Andrews Clark Memorial Library, located in the West Adams district of the city. The publication of his study of the prosecution of Oscar Wilde for committing sexual acts with other men is forthcoming from Yale University Press. Vickie Mays - Psychology : Group 1: Biological Sciences — Molecular, Cell and Developmental Biology; Ecology and Evolutionary Biology; Integrative Biology and Physiology; Psychology. Beate Ritz – Epidemiology: Group 7: Allied Health Sciences — Community Health Sciences; Dentistry; Environmental Health Sciences; Epidemiology; Health Policy and Management; Nursing; Molecular and Medical Pharmacology. Leah A. Lievrouw – Information Studies : Group 9: Social/Policy Studies—Education; Information Studies; Public Policy; Social Welfare; Urban Planning; Law. Subramanian Srikanteswara Iyer – Electrical Engineering: Group 10: Engineering — Aerospace Studies; Bioengineering; Chemical and Biomolecular Engineering; Civil and Environmental Engineering; Computer Science; Electrical Engineering; Mechanical and Aerospace Engineering; Materials Science and Engineering; Military Science; Naval Science.